← CURSE OF THE DOUBLE DIGITS – Launch Party! As promised last Friday, here are more jokes, especially fun for kids, to get you ready for Halloween. If you missed the Pirate Jokes last week, go here. Wednesday’s launch party for my chapter book, Curse of the Double Digits, was wild and wonderful. 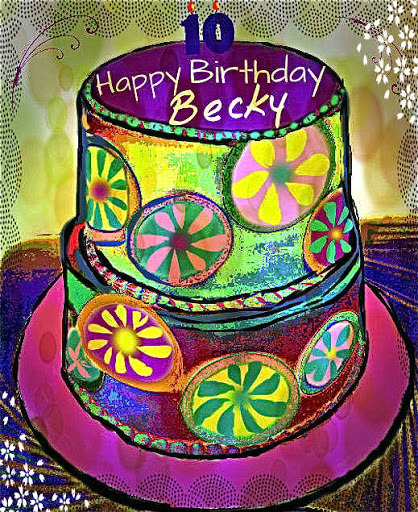 It just so happened to be the 10th birthday of the main character, Becky. We have a little bit of cake left over, so please help yourself to some virtual cake. Thank you to everyone who helped make it an extra-special day that I’ll never forget. I was overwhelmed by the awesome support I received. 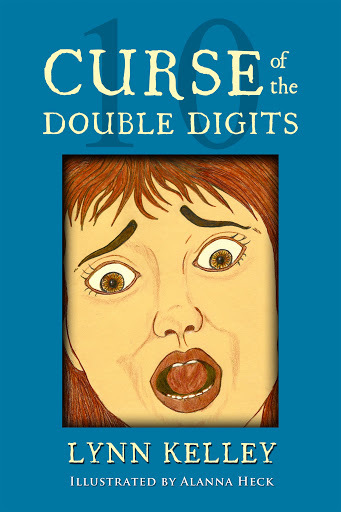 If you missed the launch, you can check it out here and enter the giveaway to win a copy of Curse of the Double Digits. I’m giving away 10 copies – 5 signed paperbacks and 5 eBooks through October 30. Just leave a comment and specify which you prefer, paperback or eBook. Also, you can enter again on Maria Cisneros Toth’s blog post where she did a quirky interview of me and Robyn Campbell’s blog for another fun interview. Have a good weekend. Do you have any special plans? Glad the launch day went well! Congratulations again, Lynn. My RWA chapter is having a plot workshop tomorrow, which I'm really looking forward to! Otherwise, I'm writing. 🙂 Congrats again on the release! Alex – Thank you, Ninja Captain for the shout out! You're awesome!Jennette – Sounds like a good conference. Have a great time. Thanks for stopping by.Robyn – You're soooooooo much fun! Your comments always put a smile on my face!Old Kitty – Thank you! And good one about going off to buy the booberries and boonanas! Hahaha! Just wanted to say again how much I enjoyed both Maria's and Robyn's interviews of you! 🙂 And LOL! at Robyn's comment…I love that she's into exclamation marks. Danny and I just giggled through your jokes! He is the pun king and loved them.We are in Maliboooooo!Am downloading your book! Congratulations! Congratulations on your book! So exciting! Teresa – I'm so glad you enjoyed the interviews. Thanks for your support, Teresa. Yep, that Robyn is a hoot, isn't she?Born Bookish – Thank you! Glad you enjoyed the cake!Jess – Thank you! I'm glad you entered again. Okay, good to know you prefer a paperback. May your luck be better than poor Becky's!Susie – I love the Maliboooo! What a coincidence! How cool that Danny watched the video with you! Aw, thanks for downloading the book. Hope you get a good laugh or two out of it. Looking forward to meeting you and Danny in person.Christina – Thank you! I'm still on Cloud 9! Has the weekend come and gone already?! I am slow…Congrats again Lynn…and love your quirky videos as always :)Hope you had a great and refreshing weekend.